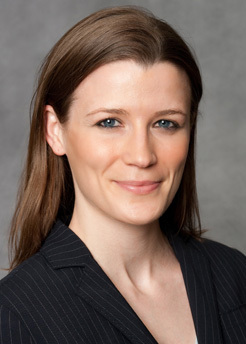 Christina Riggs is vice chair of Saul Ewing Arnstein & Lehr’s Higher Education Practice. In this role, Christina partners with higher education clients in their day-to-day operations by providing advice on student affairs issues, campus safety, the Clery Act, FERPA, state and federal discrimination laws, Title IX, Title IV, and many other matters. As a litigator, Christina draws on her courtroom experience to assist institutions in proactively managing high-profile exposure, minimizing risks, creating policies and procedures to protect against those risks, and identifying escalating issues. She approaches projects with the goal of providing strategic and practical advice. Outside of work, Christina is an avid runner and triathlete. She has completed numerous multisport distance events including Ironman Lake Placid. In addition to her state bar admissions, Christina is admitted to practice in federal district courts in the District of Columbia, New Jersey and across Pennsylvania, as well as in the U.S. Court of Appeals for the Third Circuit. Christina has extensive Clery Act experience nationwide. She has taken lead roles coordinating large-scale proactive and reactive internal investigations of Clery Act compliance. These investigations have ranged from single-issue concerns involving one-campus institutions to extensive compliance reviews involving many campuses in large university systems. Every year Christina reviews numerous ASRs/AFSRs before the October 1 deadline, in addition to fielding daily compliance questions on geography, timely warnings, emergency notifications, crime classification, and CSA identification, among others. She also provides basic to advanced Clery Act training upon request, and has offered this form of training over 20 times. Given the sensitivity of these matters, client names can be provided upon request, with client consent. Christina’s Title IX work runs the gamut from quick advice to full-blown audits; from campus-wide training to targeted sessions; and from assisting with an internal disciplinary process to defending Title IX litigation. In addition, she regularly leads schools through Title IX investigations brought by the U.S. Department of Education’s Office for Civil Rights. Obtained a complete dismissal of a respondent Title IX case at the motion to dismiss stage. Obtained a complete dismissal of a complainant Title IX case at the motion to dismiss stage. Christina frequently addresses issues regarding hazing on campus, whether by sororities and fraternities, athletes, or other student groups. Christina is experienced in defending hazing-related claims, drafting anti-hazing programs, and offering practical training on hazing risks and solutions. Christina holds a bachelor’s of science in biology and has in-depth experience coordinating with athletic trainers (ATCs) and medical experts in the context of student-athlete injuries. Christina has assessed sports medicine manuals and emergency preparedness policies and procedures to ensure compliance with NCAA mandates, NATA (National Athletic Trainers Association) guidelines, and state requirements. Litigated claims that a university failed to comply with state mandates relating to ATC licensure, team physician operating procedures, and reporting lines between coaches and ATCs. Handled investigations into alleged misconduct by athletic team coaches. Counseled numerous schools on the appropriate disciplinary roles for coaches vs. conduct offices. Christina often helps institutions with Title IV compliance, including but not limited to program review and audit resolutions, federal guidelines governing marketing and recruiting practices, third-party vendor relationships, and student privacy regulations. Christina fields daily questions for schools relating to The Family Educational Rights and Privacy Act (FERPA), a federal law that protects the privacy of student education records. Christina devotes a portion of her practice to disputes under both ERISA and non-ERISA governed insurance policies. This experience includes defense of over 100 group and individual life, health and disability cases for the country’s leading insurers. Christina has particular experience defending these cases in the Third Circuit and federal courts within that circuit. She also contributes to the Firm’s monthly Friday Five which keeps the industry apprised of developments in ERISA litigation.